UPDATE: The Filipino Community in Beijing (Filcombei) said it has raised RMB 12,030 (PHP 94,812.81) worth of monetary donations from Filipinos and the expat community across Beijing and China. The group said it already transferred the donations to the Philippine Red Cross, which will conduct relief efforts in the areas hit by Typhoon Mangkhut (locally known as Ompong). Filcombei core member Machelle Ramos told the Philippine News Agency that the group was overwhelmed by the support they have received. “I witnessed the Filipino community coming together. The bayanihan spirit was alive. We hope our donation will be able to help those who were badly hit by Typhoon Ompong,” she said. As Typhoon Mangkhut moved toward southern China, it left a path of destruction in the Philippines, burying many villages in mountainous areas and inundating key agricultural regions. Philippine authorities said at least 81 people have been killed and 34 others injured as Mangkhut caused over 110 landslides and 33 flooding incidents on northern Luzon. 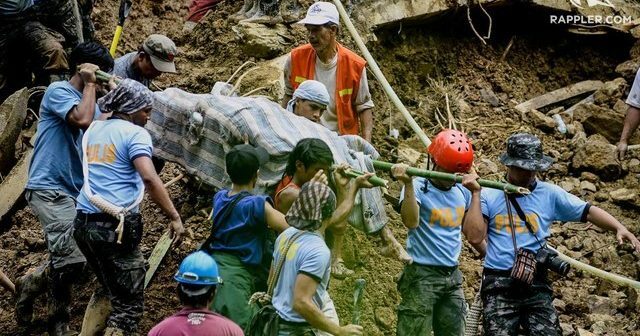 Many of the fatalities were small-scale miners and their families, after a landslide hit a makeshift chapel that they had used as a temporary evacuation center. Government officials estimate PHP 14.3 billion (USD 265 million) in typhoon damages, with key agricultural regions on northern Luzon suffering the most. President Rodrigo Duterte has directed local authorities to immediately start rehabilitation in typhoon-hit areas and urged rescue teams to ensure normalcy to be restored as soon as possible. Meanwhile, international groups have begun assisting local teams while other countries donated money in kind to help with the rehabilitation initiatives on northern Luzon. In Beijing, the non-profit socio-civic group Filipino Community in Beijing (Filcombei) organized a fundraiser and donated part of the proceeds from their recent gathering.